At the end of last month, two LG myTouch models appeared on T-Mobile's web site. From that moment on, we continued to hear about these two phones, one with a side sliding QWERTY keyboard. On Tuesday, the phones appeared on a leaked T-Mobile roadmap as the Maxx Touch and the Maxx Touch Q and on Wednesday, the T-Mobile web site said the duo was coming soon. Now, the first myTouch devices to be manufactured by a company other than HTC have been officially announced by the nation's fourth largest carrier. In its announcement, T-Mobile pointed out that the phones are easy to set-up and easy to use, perfectly suited for the first time smartphone user. 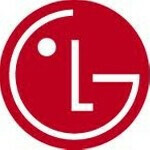 The LG myTouch offers up a 3.8 inch touchscreen with a virtual QWERTY and Swype, pre-installed. The LG myTouch Q has a smaller 3.5 inch touchscreen and a landscape oriented QWERTY keyboard. Since the pair are being marketed to first time smartphone users, T-Mobile says that both models offer a Set-Up Wizard which gives simple instructions on how to use the email and social network integration. Also available on the pair is a "tips" widget that shows users how to use certain features on their device, and the Genius button which allows you with the press of a button to call or text someone, or search the web. Both the LG myTouch and LG myTouch Q are powered by a single-core 1GHz Qualcomm processor and each has a 5MP camera on the back capturing video at 720p. The LG myTouch has a front facing camera for use with T-Mobile's Video Chat from Qik. T-Mobile TV in Mobile HD, Netflix and YouTube are all installed right out of the box on both models.. 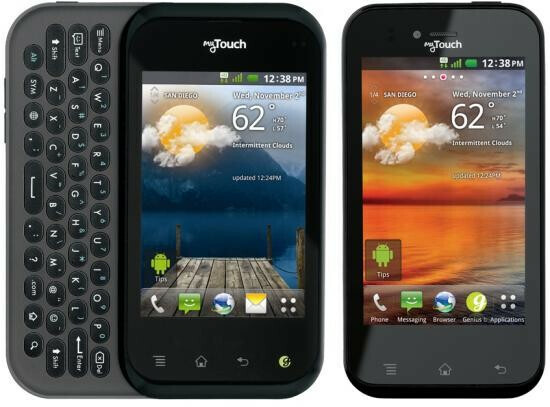 The myTouch is available in black or white and the myTouch Q comes in gray or violet. While no pricing or launch date has been announced, T-Mobile says that the phones will be ready in time for the holiday season.